What would you do if you inherited a dream? 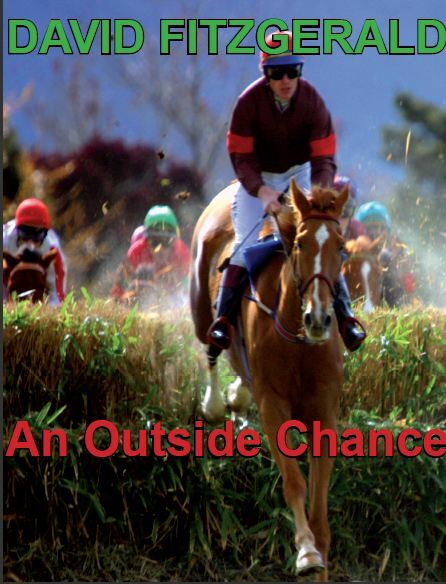 After the reading of a will, Irish prison officer, Declan O’Connor, finds himself the owner of a racehorse and the challenge of running it in The Grand National. How? With no money, experience or indeed a garden, Declan sets out to fulfil his late uncle’s wishes. With a little help from his friends and the illegal use of prison facilities, he faces the greatest challenge of his life, and so do his friends…..and one or two inmates. I thoroughly enjoyed reading this book. It was an easy, amusing, entertaining read. The characters were well written. I wanted to know what was going to happen to them next. Just like the previous reviewer, I felt I knew where the story was going. I didn’t either!! Would thoroughly recommend this book and hope that Mr Fitzgerald will be writing another one soon! I really enjoyed reading this. It is light hearted, amusing and full of good characterisations. The story line had me guessing, I thought I’d worked it out, I hadn’t. A few twists and turns that made me want to keep reading. Recommended as an entertaining story that will often bring a smile to your face.